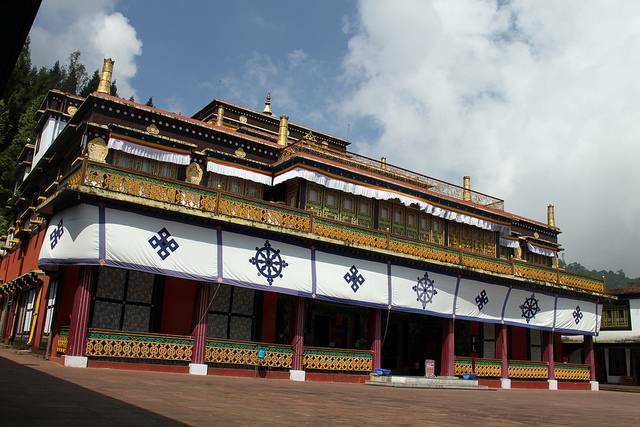 Founded in 16th century, Rumtek Monastery or Dharmachakra center is the largest monastery in Sikkim. It is about 24 kms from Gangtok and the followers and practitioners of the Karma Kagyu lineage (a type of Tibetan Buddhism) inhabit the region. The drive from the capital is scenic and you'll be enamored by the serenity in the monastery. Pick up some curios from the souvenir shops en-route the monastery while you're on the road. Enjoy the beautiful architecture, meditate and reflect upon life, learn about Buddhism and return with your hearts full and your minds cleansed.